Great information from Council on Aging, Marin County Public Administrator and Seniors At Home, a division of Jewish Family and Children’s Services. You’ve worked hard for what you own. Whether it is your property, your prized belongings or your savings, you want to make sure that it goes to the people you love or to the charitable organizations you trust upon your death. However, a simple lack of planning or, in many cases, a lack of updating, can result in your wishes for your estate not being carried out. There are several scenarios when a deceased person’s wishes may not be followed. These situations include when there is no will at all, no original copy of a will, or no executor either because that person has died, cannot be located or is not willing or able to act on the decedent’s behalf. “Many people postpone their end of life decisions,” explains Brett Rhodes, Chief Deputy Public Administrator for the County of Marin. “We think, ‘I’ll get around to that later,’ but the reality is that many cases go to the court by default.” In some cases where heirs or beneficiaries cannot be located, someone’s assets are escheated to county and state unclaimed property accounts and if not claimed, eventually become public funds. The Marin County Public Administrator provides professional estate management services to county residents, acting on the decedent’s behalf to manage and resolve the estate. The office functions in the same way as a private administrator would, and the County regularly utilizes an extensive network of professional contacts and well-developed resources. While costs for general estate administration are statutorily set for both private and public administrators, any extraordinary services default to an hourly rate, which in many cases are at a lower cost than privately hired services. Another option is to use the services that a non-profit senior service organization such as Seniors At Home provides or Council on Aging. 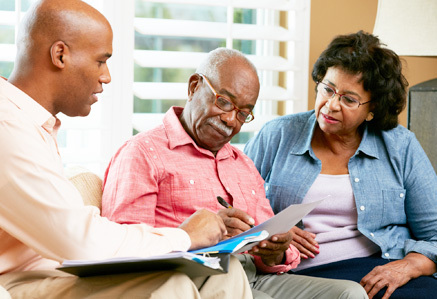 Additionally, the Seniors At Home team helps seniors and their families manage their financial responsibilities accurately and on time. The fiduciary services are available in San Francisco, the Peninsula, Marin County, Sonoma County and the East Bay. When you appoint Council on Aging Services for Seniors through it’s licensed fiduciary agent, you will be secure in the knowledge that should the current fiduciary leave the agency for some unforeseen reason, the verbiage used in the legal documents, Trust, Powers of Attorney or Will, give the Council On Aging’s CEO the ability to appoint another licensed fiduciary who works for Council on Aging, to step in to their place. This gives assurance of continuity and a feeling of security to those individuals who have no one else able to step in for them when the time comes. Lastly, Council on Aging’s fees are reasonable, are on a tiered rate structure and Council on Aging is fully insured and bonded. When an individual considers Council on Aging, Aust discusses the many services Council on Aging provides such as case management and Meals on Wheels. She also discusses the fee structure and reviews the legal verbiage needed for their attorney to appoint Council on Aging as Successor Trustee, Power of Attorney, Advanced Health Care Directive Agent and Executor. Naming the public administrator’s office or an organization such as Council on Aging or Seniors At Home as your executor or fiduciary can give you and your family valuable peace of mind. You won’t have to worry about an individual retiring or moving away, since the office or organization itself is reliable and not dependent on any one person. For information on Seniors At Home, call (844) 394-3468 or visit seniorsathome.jfcs.org. For information on The Council On Aging, call (707) 525-0143 or visit councilonaging.com/services/financial-services/. CrossFit + Older Adults = Good Stuff Baby! Fighting Parkinson’s Disease: Rock Steady Boxing delivers a knock out punch!